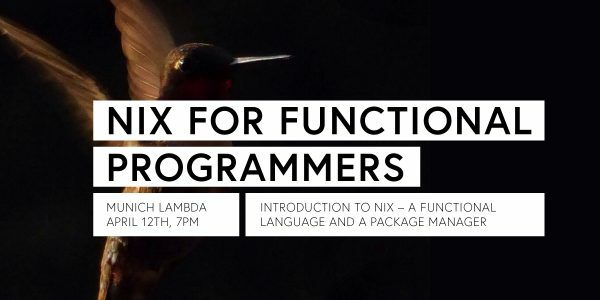 Munich Lambda very happy to announce that globin and fpletz, two maintainers of NixOS (https://nixos.org/), the purely functional Linux distribution, will give an introductory talk on nix, both as a functional language itself and as a package manager, with a special emphasis on Haskell development with nix. Nix allows for reproducible dependency management and build environments. It provides atomic upgrades and rollbacks, side-by-side installation of multiple versions of a package, multi-user package management and easy setup of build environments. After the talk, if there's enough interest, we'll be available to help with anybody interested in setting up nix or NixOS.